The technical professional bachelor's programme Creative Media and Game Technologies of Breda University of Applied Sciences has the differentiation area International Game Architecture and Design. This programme is completely taught in English. In 3 or 4 years’ time you can define your own roles, skill sets and ultimate career path towards your dream job. Whether you want to be the best game-play programmer, an award winning character artist, a producer of winning Triple-A titles, or a lead designer on an app-store hit, we help you define your path to success. Specialise more than you thought possible or give yourself a generalist skill set to power your first Indie development company. Breda University of Applied Sciences is an official partner of Sony and participates in the PlayStation®First Academic Partnership Programme. PlayStation® hardware and software takes a central place in the teaching curriculum of this programme. After your graduation in Breda, you create the magic of new games as an ambitious, practical and highly skilled game developer! According to Keuzegids HBO 2015 (Dutch) Breda University of Applied Sciences is the best large university of applied sciences in the Netherlands. 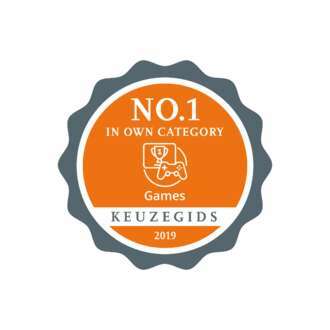 Keuzegids HBO 2016 also ranked the International Game Architecture and Design programme number 1 (with a score of 7.8 out of 10) in its own category and gave this programme the qualification top rated programme. In the research by Nationale Studentenenquête 2016 (Student Survey) students value this programme at Breda University of Applied Sciences positively. In the annual ranking of Elsevier this programme also ranked first place in its own category. The Dutch-Flemish Accreditation Organisation (NVAO) has assessed the quality of the lecturers of the programme Creative Media and Game Technologies as excellent.